Meditating on that fact that God knows me, I was give the vision of a clock sitting on a mantle. 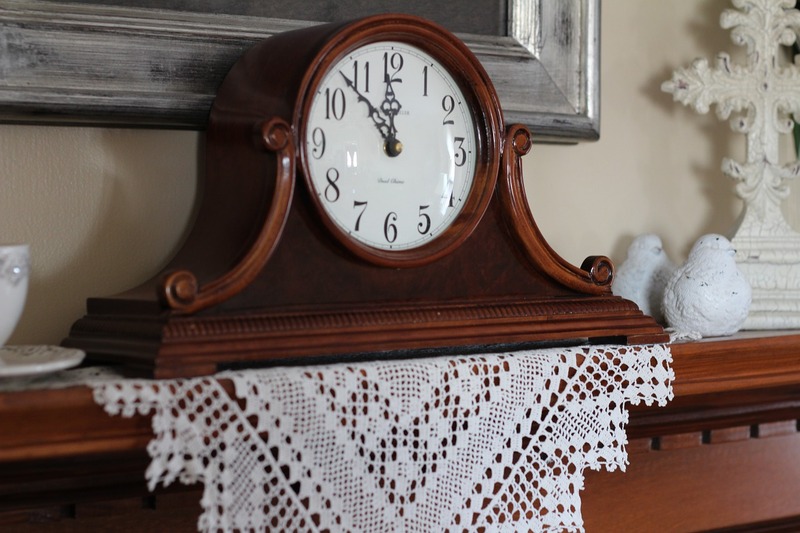 The clock on the mantle tells time. It has a known purpose. I know that it is made of wood, had the white circle, the numbers and the hands that tell time. This has been my vision of God knowing me. He sees everything I do. He knows my purpose (even when at times I do not). He knows me – the hairs on my head, my personality, my strengths and my weaknesses. The depth of my knowledge that God made me is thinking about the finished product. His masterpiece that serves a purpose in His Kingdom. The deeper knowledge is how God made me. He knows the intricate details. Just as the intricate details of a clock are what is found behind the face panel, God made more that just my outside characteristics and personal character. A clock is more than what I see on the outside. There are handcrafted pieces that work together to keep the time, to rotate the hour, minute and second. They are finely tuned to work together and when one part starts to fail, it impacts all the other areas. God knows I am more than what people see and experience on the out side. He crafted each cell in my body. He wrote the code for each DNA. He knit me together stitch by stitch in my mother’s womb. He handcrafted everything about me. He knew the events that I would experience, the choices I would make and how they would help shape me in to the person He was designing. And as I thought about His creation of me, I realized that although I am unique in my making, He has created every person that I come in contact. Just like a clock we all must work together, because each person is dependent on the next part fully functioning the way that it is supposed to function. When one person is removed the gears of the kingdom are not working at full capacity as try to fill the gap and are pulled from their purpose. It stretches people thin at best and at worst, it causes a complete break down. We all have a part to play. God designed us marvelously complex, but how wonderful is His workmanship. This entry was posted in Hope and tagged #Journey, Character, Faith, Scripture. Bookmark the permalink.